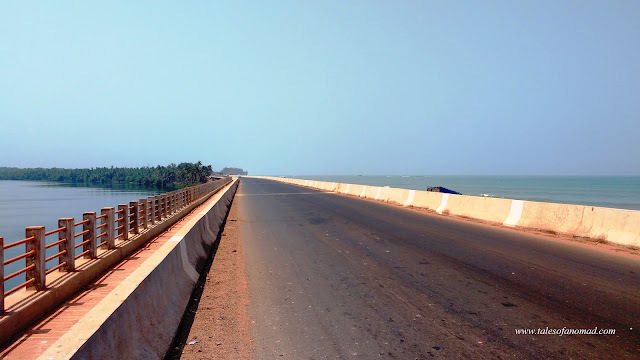 At Maravanthe in coastal Karnataka, the narrow strip of land (as seen in the above picture) has the backwaters of Sowparnika river on one side and the Arabian sea on the other. Wow good connectivity with road. Yeah, it's a nice long stretch. Glad you liked it. Have sent you a mail.